Hello, and greetings from Cologne, Germany, where we’re wrapping up two intense weeks that began a few dozen kilometers north of us, in the former German capitol of Bonn, where climate negotiators have begun the process of activating the Paris Agreement. Unfortunately, that meant I got swamped, which led to an unplanned two-week hiatus on this podcast, and I do apologize for that – but if you’ve been following Ecosystem Marketplace, you know we haven’t been idle. Yesterday, we released our annual survey of the voluntary carbon markets, which takes stock of what individuals, corporations, and governments have been doing to offset their greenhouse-gas emissions until the Paris Agreement takes effect – which could happen as early as next year. Earth. We broke it. We own it – and nothing is as it was: not the trees, not the seas, not the forests farms or fields, and not the global economy that depends on all of these. But we can restore it – make it better than it is – more resilient – more sustainable. But how? Technology? Geoengineering? Are we doomed to live on a bionic planet, or is nature itself the answer? That’s the question we explore each week on Bionic Planet, a podcast of the Anthropocene – the new epoch defined by man’s impact on Earth. Today, our focus is voluntary carbon markets. Green-minded companies use them to reduce their carbon footprints by offsetting those greenhouse-gas emissions that they aren’t able to eliminate by, say, re-tooling their factories or switching to renewable energy. Individuals use them as well – often to offset their travel emissions – as do governments. New research from Ecosystem Marketplace shows that these three groups used voluntary carbon markets to reduce emissions by about 84 million tons of carbon dioxide last year alone, but the real story isn’t the volume – which is still too small to change the world – but rather, how those offsets are used in ever-more complex and effective emission-reduction strategies. That’s my Ecosystem Marketplace colleague Kelley Hamrick, who spent a good chunk of the last six months on the phone with thousands of carbon market participants cobbling together the latest “State of the Voluntary Carbon Markets” report, which is entitled “Raising Ambition” to reflect the ever-increasing emission-reduction targets embedded in the Paris Agreement. Voluntary carbon markets provide a way for companies to reduce their overall emissions by, say, saving endangered forests, or planting trees, or financing the construction of wind farms. They’re not to be confused with “compliance markets”, which are imposed under a cap-and-trade regime like the one in California. If you heard our two earlier episodes focused on the need to create a price on carbon, you know the goal of such a price is to force companies to reduce the amount of greenhouse gasses they pump into the atmosphere. Voluntary markets are different – they’re not so much an “incentive” as they are an “enabling mechanism” – because companies and individuals that use them aren’t doing so to comply with the law, but to do the right thing. In fact, our research shows that companies that buy offsets are usually also the ones that have already done the most to reduce their emissions internally – and they’re using offsets to get to zero net emissions – or at least try to. Offsetting, in other words, is almost never a stand-alone strategy, but rather one component in a larger, more involved emission-reduction approach. I had a brief chat with Kelley right after she posted the report, and asked her how voluntary offsets usually fit into a company’s emission-reduction program. So, who are the buyers? Ultimately, they’re companies that want to reduce their greenhouse-gas emissions, but sometimes they’re brokers as well, and they can also be a new breed of consultancy that helps manage emission-reductions. Let’s meet some now. Did you hear what he said about price? If you heard our cost of episodes on the need for a price on carbon, you know that 3.3 dollars is nowhere near the “social cost of carbon” –or the damages that carbon dioxide causes once it’s in the atmosphere. Now, I know what I said before – about voluntary carbon offsets being an enabling mechanism more than an incentive, and that’s true, but one way they enable companies to reduce is to create an “internal price” on carbon – a price companies can use to push greenhouse-gas emissions into the corporate consciousness. That just doesn’t happen at $3.3 per ton, so lots of companies buy low externally and then sell high internally – but that leaves another problem: most emission-reduction projects simply aren’t viable at $3.3 per ton. Now, there are plenty of reasons the price is so low: it’s mostly because prices reflect political will, and political will has been pretty pathetic until last year, but it’s also because the offsets sold last year were created earlier, so there was an oversupply, and it’s because larger transactions can get away with a lower price. Ultimately, however, a price this low just isn’t sustainable – but there’s a sense that will be changing after Paris, in part because there are so many other initiatives underway outside of and tangential to the Paris Agreement. 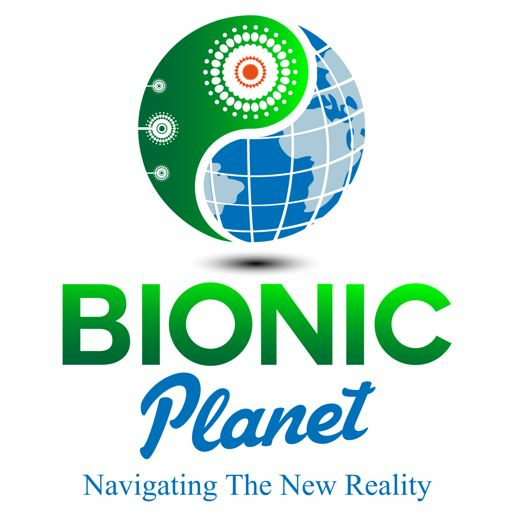 So – sustainable development goals, science-based targets, and carbon pricing – we’ve covered carbon pricing a bit in our previous editions of Bionic Planet, and we’re far from finished with that rabbit hole, while we’ll be covering the sustainable development goals in the coming week, so if you’re not familiar with them, be sure to subscribe to Bionic Planet or check back soon. The gist is that more and more companies are responding to demands for carbon neutrality, and while many start out by just offsetting, they soon weave offsetting into a broader emission-reduction strategy. It’s a theme that emerged over and over again at Carbon Expo, but one often lost on most observers and the media: carbon offsetting isn’t a “distraction” as some like to say, and it isn’t a way for companies to “buy their way out” of their obligations. Instead, it’s a tool that helps get companies and customers and suppliers all pointing in the same direction, as Danielle Spiesmann of DHL makes clear. DHL’s GoGreen initiative is worthy of an entire program, and if I have the bandwidth to deliver, I will, because it involves a complete restructuring of the company’s transport system, but one that uses carbon offsetting to drive awareness – and it’s hardly an exception. Companies like Unilever, Marks&Spencer, Microsoft, and General Motors have all used voluntary carbon markets to drive down emissions and raise awareness at the same time. We’ll always have Paris, as in the Paris Accord – which was woven throughout today’s program, so rather than do my usual breakdown of some obscure element, I’d like to introduce you to Laurence Tubiana, the French Climate Ambassador who may be the next head of the United Nations Framework Convention on Climate Change. Here is her summary of the two weeks of talks that just wrapped up in Bonn. It’s fairly dense, and if you don’t understand all of it, don’t worry – just keep listening to us, and soon it will all be quite clear.